Many manufacturers, transporters and logistics service providers use wheeled trolleys, handcarts, plastic bins, pallets and production trays to move goods from one location to another within their own domains, or upstream and downstream in the supply chain. Keeping track of transportation and logistics equipment can be challenging, especially when people don’t log the whereabouts of things. They end up in the wrong location or can’t be found, making the movement of your goods difficult or even impossible. Delivery delays and extra costs follow. Our standards not only identify individual pieces of equipment, but also track and trace them across different sites to ensure they are in the right place at the right time. Japanese fresh foods company Kibun uses cage trolleys to transport its products and ingredients from place to place. 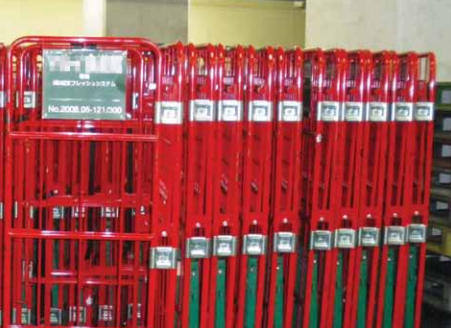 Since installing our standards, it can perform an inventory of its trolleys in minutes instead of days. Shipping is now fast and efficient, because every site has the exact number of trolleys it needs. We can help you to start using our standards for asset management.